Since it was so easy to get into New Orleans from our campground, we were able to make multiple trips into the city. While Kaylie and Emmett and I enjoyed the campground parade, Jack and Matt tackled New Orleans together, visiting the World War II museum and making a first trip to Cafe DuMonde. Being a WW2 history buff, Jack LOVED the museum! He could have spent a couple days there reliving all the details of each battle. 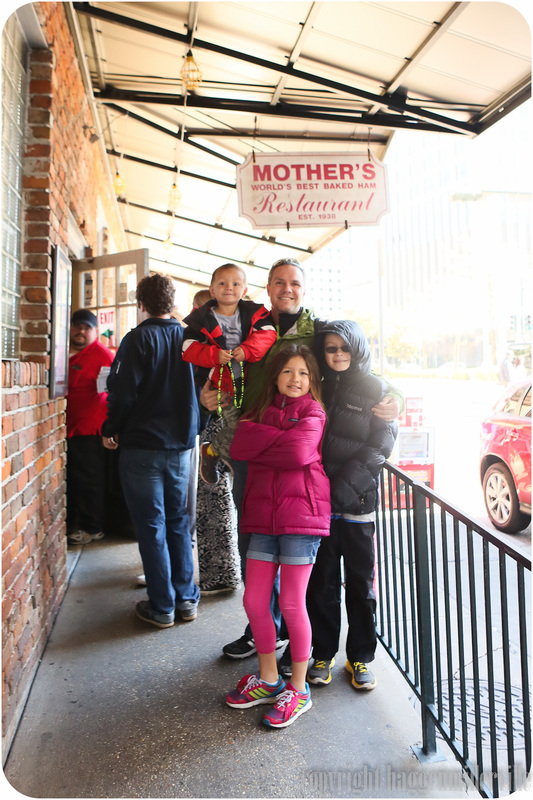 On our next visit into the city, we waited in a not too long line at Mother's Restaurant for some Po'Boys (Famous Ferdi Special featuring the orginal debris). 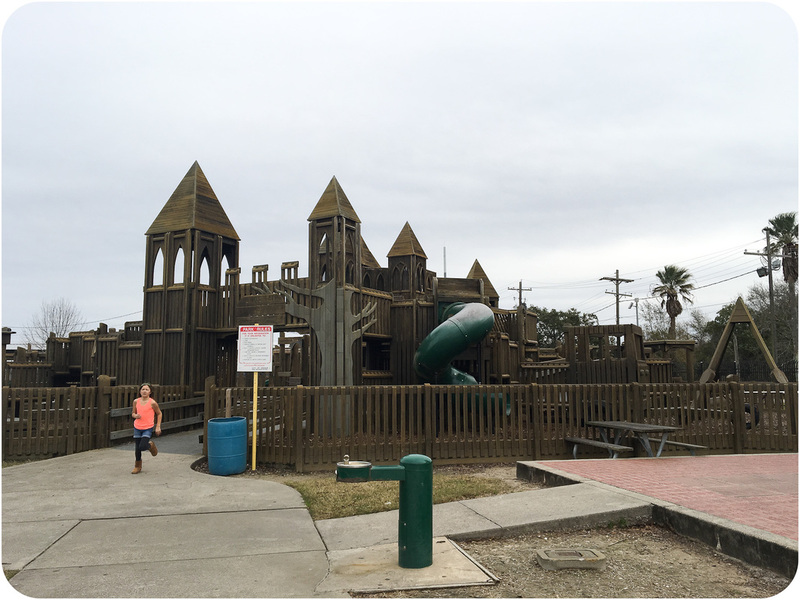 The best thing about our trip to New Orleans was all the great families we met at our campground - Bayou Segnette State Park. If you are looking for a homebase near New Orleans and have a tent, trailer or motorhome, you might want to consider this place. It's got great level sites, free laundry (though you might have to fight others for it), park activities and it's ideally located about 20 minutes by car outside of New Orleans. And like I said, the best part were the other full-time families we met.​ Now that we have some other traveling friends, we're able to message each other when we need ideas for what to see or where to stay. Our Family Edventure - Family of 4 from SF Bay Area traveling in a sprinter van. Life with Dyna - Younger couple traveling with a 4 year old nephew, a friend and a cat. 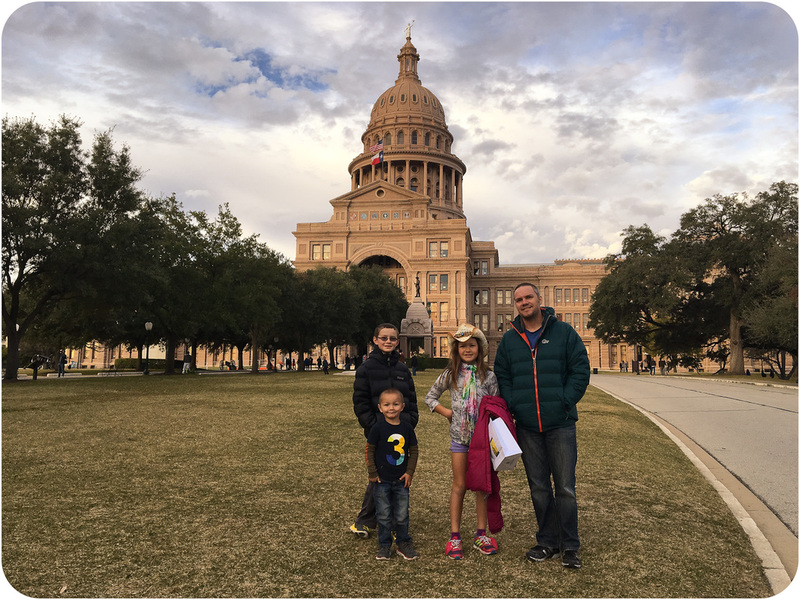 It's a Dodds Life - Family of 4 from Australia that hit 49 states in their year-long adventure of the USA. We happened to be staying in the park a few days before the actual day of Mardi Gras (booked reservations a few weeks in advance online), so the park had some fun, low key activites for the kids in the campground. On our drive through Lousiana from Lafayette to our next campground in New Orleans, we made a pit stop for the afternoon in a little area called Avery Island. The main attraction on Avery Island is the Tobasco Factory. 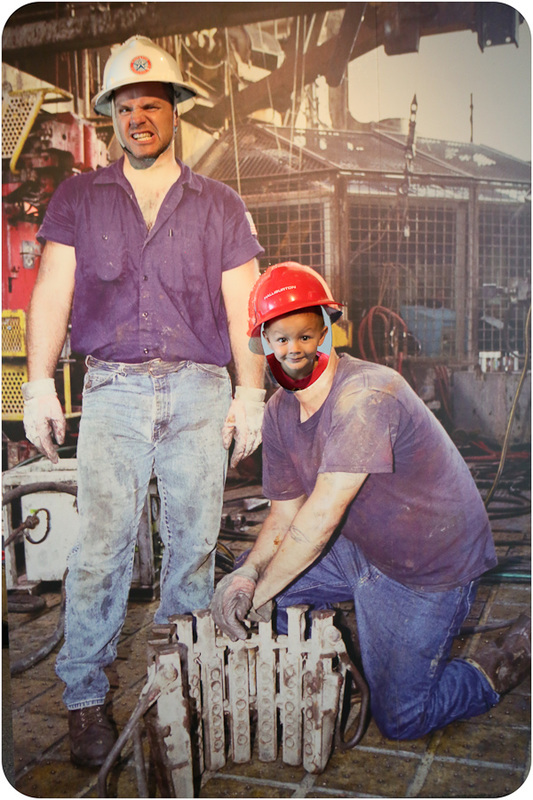 We spent a couple hours on the self-guided tour through the factory. 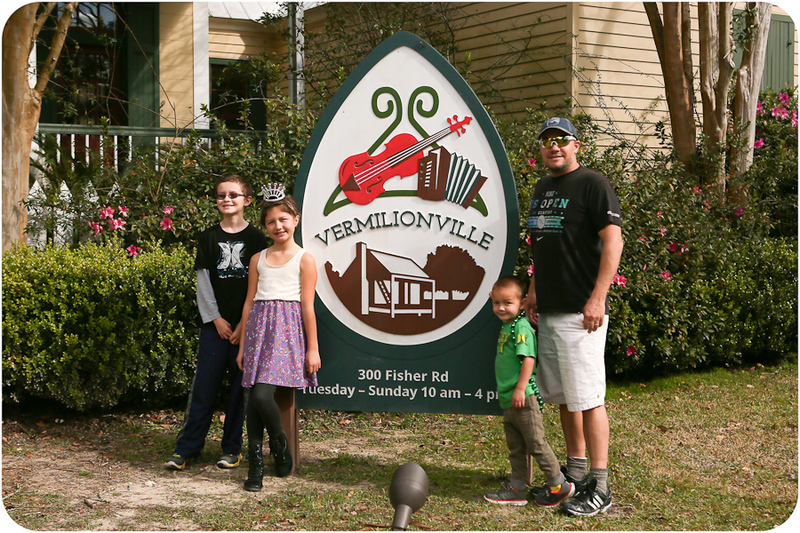 We spent a few hours one afternoon exploring the lovely living museum of Vermilionville. 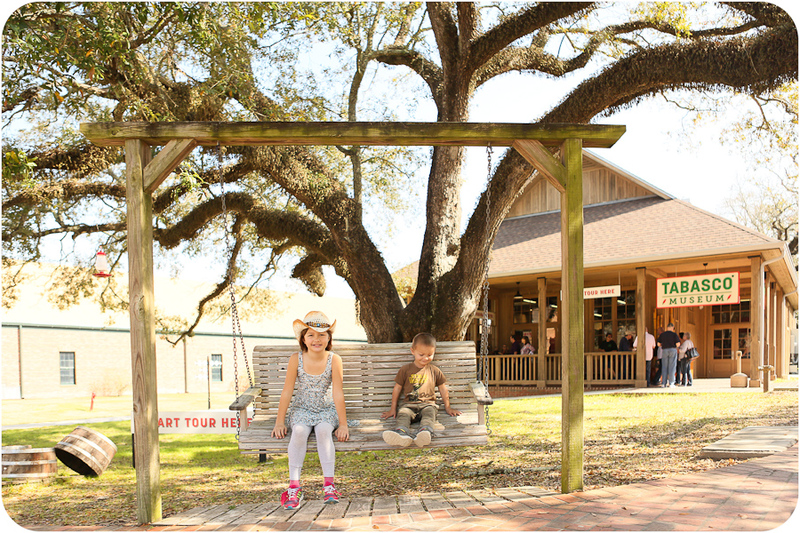 a Cajun/Creole Heritage & Folklife Park. 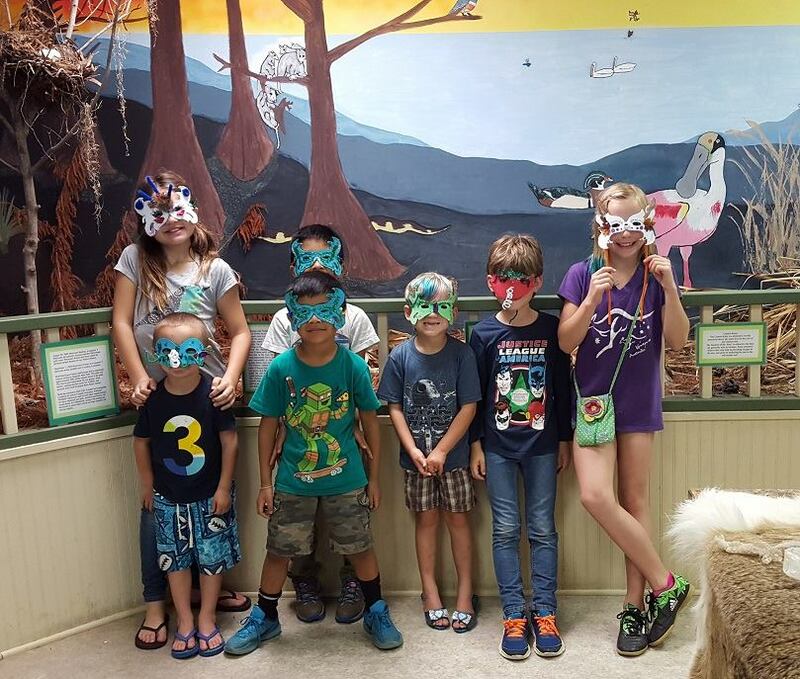 For those homeschoolers, their website has a number of lesson plans you can use to tie in with the fieldtrip. We started in the watershed exhibit where we learned about the Vermilion bayou and how water shaped the way of life here. Kaylie had a great time discussing bugs with the naturalist working in the watershed exhibit. The Acadian Cultural Center is nice little museum run by the NPS where we learned about the Acadian culture and origins. They even have a junior ranger program (kids now scream, "NOOOOOOO!" whenever they see me coming with the junior ranger booklets). 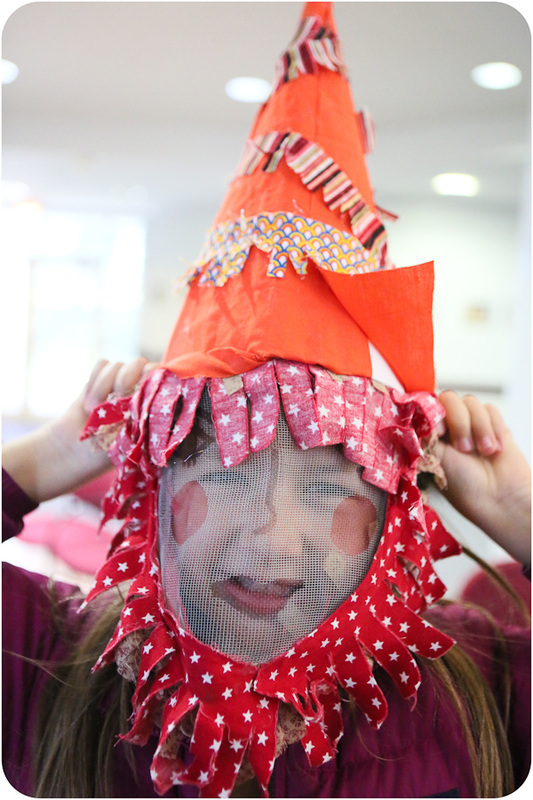 But they did love playing some of the instruments that are in the hands-on area. In the next parking lot over is entrance to Vermilionville - a living history musuem where we watched some couples dance to live cajun music, talked to a native american about the jewelry and dolls she had made out of the area's spanish moss, and washed clothes on a washboard. Hitting Vermilionville along with the Acadian Cultural Center would make for a good day...especially if finished off with some crawfish or boudin balls! I really wanted to soak in the culture of the bayou found in Louisana, so we planned for a long stop in Layafette, Lousianna. 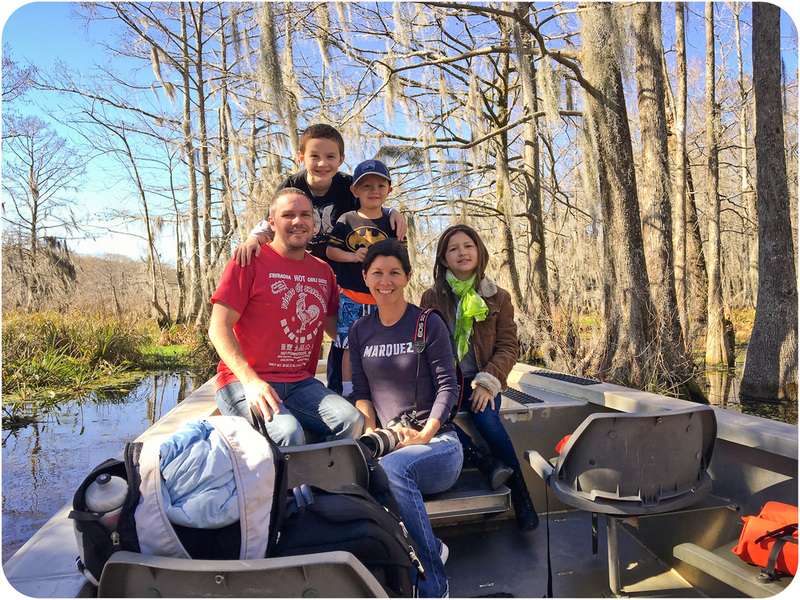 While here, we went for our second boat ride of the trip with Campagne's Cajun Swamp Tours located about fifteen minutes from our campground in Breaux Bridge, LA. (Here was our first boat ride...rv and all). It had been pretty cold up until the day before we went on our tour, so most of the alligators in the area were still hiding out in the mud trying to keep warm. During our tour, the sun was out and temps were nearing 70, so we did get to see a couple little 'gators trying to soak up some sun. It was very exciting to see the first little guy who was hiding out in some plants...all you could see was his spine sticking out. As we traveled further south into Florida, we would end up seeing countless numbers of big alligators. But this 3' gator was enough to check it off our list. Fun Fact: Alligators need heat/sun to help process their food. If the weather turns cold after an alligator eats a large meal, the alligator may not be able to process his food and the animal in it's belly will rot...killing the alligator. Lione's Den Park made a great stopping spot for our travel lunch. We pulled into the big, totally open parking lot, let the kids run over to the park and I whipped up some quesadillas and cut up fruit. (I've got my own food truck). 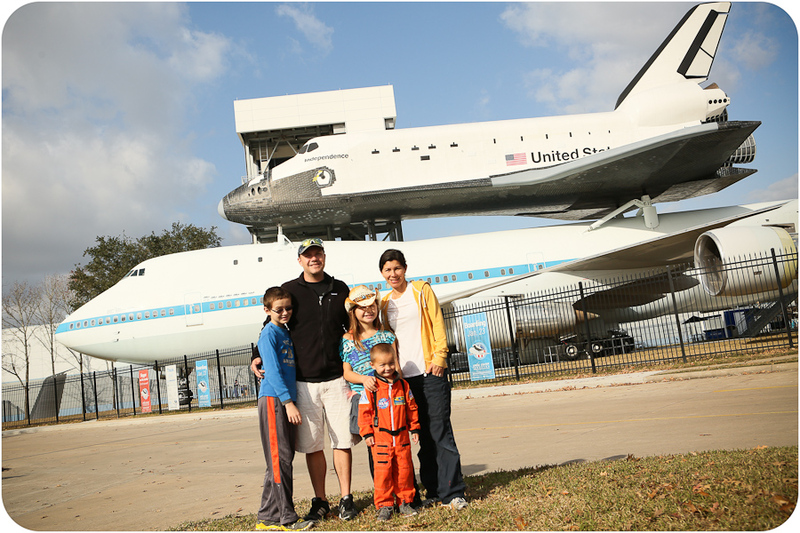 Since our main goal for Houston was to see the Johnson Space Center, I tried to find us a place to stay on the eastern side of town. After my hard time finding a place to stay in Austin during the MLK weekend, I decided to call in advance to Houston to make sure we'd have a spot. The last thing I wanted was to be aimlessly driving the rv and tow car (or riding shotgun) around a huge city during weekend traffic. I was suprised to find that all the places I called were already filled for the weekend. Bah! So instead of staying near the Johnson Space Center, I booked us a spot thirty minutes south on Galveston Island. We pulled into the outkirts of Houston on Saturday afternoon and elected to take Route 6 to Galveston. Route 6 is like a road or expressway. I have to say it was almost as bad as driving down PCH in Santa Monica on a summer weekend. Everyone was out running errands and going to BBQs. It took us forever but we finally made it to our rv park on the beach right as the sun was setting. It's been awhile since we've seen the beach. I have to say that waking up and feeling the slightly humid air and hearing the waves was awfully nice. Matt and I grabbed our coffees and sat outside to enjoy the breakfast view. Unlike in the Pacific where the waves can be blue/green and crash one at a time, these Gulf of Mexico waves were brownish (from the river water/silt that comes down and mixes in with the ocean water). And because of the shallow water, the waves come tumbling in all over the place. We did two separate day trips up to Houston from our base in Galveston. It was about a 30 minute drive to the Johnson Space Center. We got there at opening time on a Monday and had the place to ourselves... no horrifically long lines like people described in the reviews. Photo taken from camera resting on the hood of our car. That is an actual 747 with space shuttle sitting on top. Remember when a similar set up flew over Los Angeles? I'll be sharing our travel plans, some reviews, cooking ideas (because I know you are all jealous of my easy-bake oven), and ... oh who am I kidding?! I'll be lucky to get our photos posted!